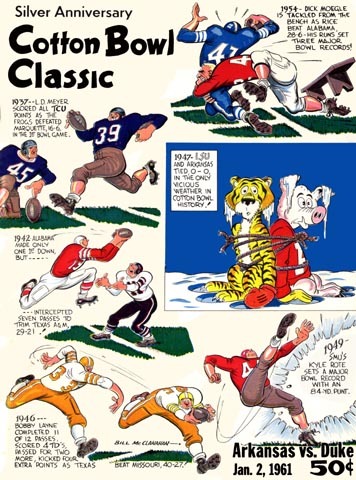 Yes, Duke once had a real football team, and yes, they really did beat Arkansas in the Cotton Bowl once upon a time. You can look it up. Of course that Cotton Bowl outfit could probably put on their old uniforms and beat the current Blue Devils with a 47-year age spot, but we don't need to get into that.